Gulfside GEM! is a single family, 3 story home located gulf front in the Brighten by the Sea subdivision just passed Cape San Blas Rd on C30A. This neighborhood is comprised of 9 homes that share a gulf front community pool. Very close to Cape San Blas and on C30A headed toward Indian Pass, the location is perfect convenient to those locations as well as Port St. Joe and Apalachicola. As a rental property, this home is laid out perfectly. There is a gulf front master bedroom on the ground level with a king bed and a great deck. The 1st floor is an open living space with fantastic views and a comfortably furnished screened deck. On top, you’ve got another master bedroom with a queen bed and access to a roof-top deck. You can see for miles and miles, and it’s gorgeous. This area is a very natural setting fantastic for long walks looking for shells, fishing, crabbing and you can even stroll the beaches on horseback. Taking a step back from our busy schedules, you can really reconnect in a place where time seems to stand still and your adventure for the day can be to cook your own catch. If you’re not a fisherman, or chef, the Indian Pass Raw Bar is a couple of miles down the road and famous for its mouth-watering raw oysters and fresh seafood. No high rises or crowded commercialization like you’ll find to our west, just simple beautiful outdoor adventure. Book Gulfside GEM! for your next vacation and feel free to bring your four legged companion. Floor Plan: Ground level – Bedroom 1 – 2 twin beds, small TV and full bath with shower/tub combo; laundry closet and Bedroom 2 – gulf front master bedroom with king bed, TV, full bath with shower/tub combo and gulf front deck. 1st level – kitchen, dining area and gulf front living room with sleeper sofa, TV and gulf front screened deck. 2nd level – Bedroom 3 – queen bed, TV, full bath with Jacuzzi tub/shower and roof top deck. Great location l but disappointed in the overall condition of house. Two adults slept in twin beds and they were so uncomfortable! Top bedding needs washing, as well as all throw pillows in luving room. Rug in living room smells hideous. just toss it. why have big thick rugs when u know dogs are gonna pee on it? Sofa needs replacing. Bigger TV in living room would be mice..rotting furniture on lower deck. not safe to use. Thank you for your feedback on the property and I'm sorry your experience at the property didn't seem to be the same as the others who have recently stayed. Nonetheless we appreciate your input and will ask the property owner to consider changes based on your feedback. Loved the house!!! The only things that I didn’t care for, no water pressure in any of bathrooms, air on 3rd floor at roof top wasn’t cold enough and the roof has soft spots and the BIGGEST WAS BEING BITE MY MOSQUITOS and BIG BUGS ON PORCHES! When we come to Florida we don’t expect to be eaten by bugs! Loved loved loved loved the house but won’t come back to that area due to bugs and the LONG WALK TO THE BEACH! Absolutely love this place! Our family had an amazing vacation here and will be booking again hopefully next year! The beach access is perfect and so close, which makes it perfect for kids. Great house as well has been well maintained. Overall very pleased with this property. Well done! I stayed at the GEM not too long ago and couldn't have been happier with the property and its location. The light in coming into the GEM is fantastic, making mornings for this nite owl very inviting. Rooms are spacious in the right places, with the second floor kitchen & living area a great hub to entertain or relax. Decks on every floor means no one misses out on the fantastic view that awaits you. I really enjoyed looking out over the ocean from sunset into the night, with dolphins arcing through the water, fishing vessels in the distance, and vibrant constellations overhead. There's minimal to no light pollution, especially during sea turtle nesting season, and the structure and surrounds is very quiet. And that beach... 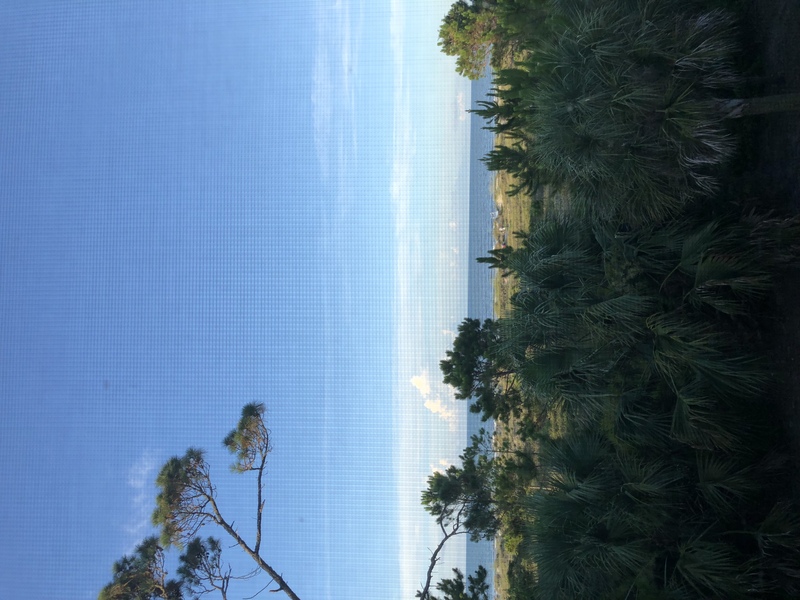 There's so much to do and see in the area and with the GEM, you are ideally placed between Cape San Blas & Apalachicola while also near two of my favorite restaurants in the area: Triple Tails and the legendary Indian Pass Raw Bar.